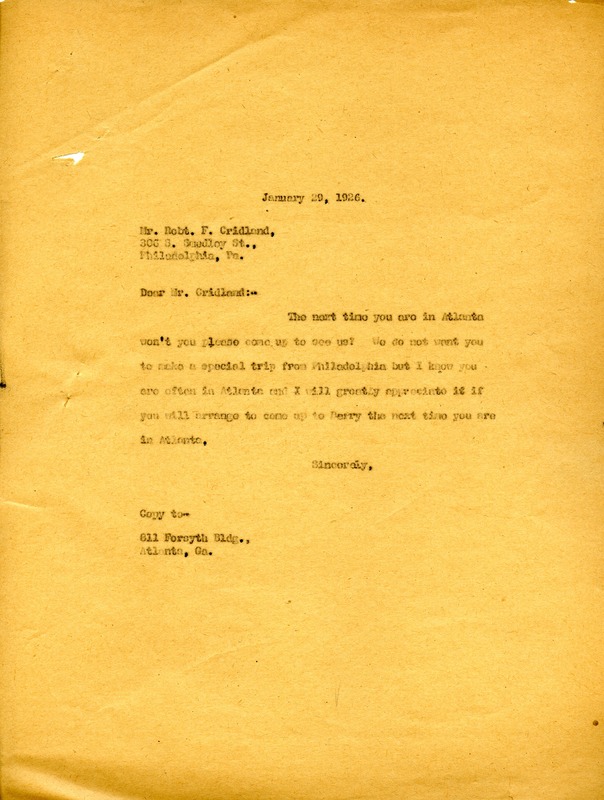 Letter from Martha Berry asking that Mr. Cridland visit Berry the next time he is in Atlanta. Martha Berry, “Letter to Robert F. Cridland from Martha Berry.” Martha Berry Digital Archive. Eds. Schlitz, Stephanie A., Meg Ratliff, et al. Mount Berry: Berry College, 2011. accessed April 24, 2019, https://mbda.berry.edu/items/show/1360.